Maybe it should be “if you can’t measure it, managing it will often be difficult to impossible depending on what it is” but that isn’t nearly as catchy, is it? How does this apply to Cloud Services? Today there is a mass exodus occurring. Organizations that just three years ago wouldn’t think of moving to the cloud, today have initiatives to move some, if not all, infrastructure to the cloud. The United States Defense Department now uses Amazon’s cloud computing services! Cloud Services must truly be measured if you are to manage it, especially a migration to the cloud. Capacity Optimization is a buzzword but it’s also a fact of life. Organizations that don’t measure, overprovision. Period. It’s the only way to ensure available capacity. Mark Schwartz, in his blog, believes that organizations can realize as much as 36% savings just by rightsizing and optimizing infrastructure capacity. But every day I talk to organizations who have no Capacity Optimization initiative, business unit, plan, tool or thoughts. Understanding true infrastructure requirements are essential to controlling costs for any cloud services initiatives. What if you aren’t in the cloud yet but your CIO has announced an initiative to migrate 70% of your computer and storage infrastructure to the cloud? Even further, for security, redundancy and uptime purposes, it should be split between providers. And the CFO wants to know costs. Where do you start? There are three main hurdles to overcome to understand how a migration to the cloud may look and where it is feasible and not. This is the essential problem with controlling costs in cloud services. Visibility. Visibility into your own environment is required as well as how that environment (or elements of it) would look in the cloud. This extends beyond just a “discovery” issue as not all computers are equal and how do you assign costs. “What about that pricing schedule in AWS, how could anyone decipher what is going on in there?” These issues derail many organizations from moving any farther, but they need not. Not all computers are equal. We know and accept that but a simple concept of “2X4” resolves the issue by assigning 2 CPUs and 4 gigs of memory as our defined computer. When the computer is larger, how many “2X4’s” is it? Rounding is essential, but this concept provides guidance on the initial stumbling block that “not all computers are equal.” Is this method precise? No, it is not, but it is simple, specific, easily explained and understood. It is perfect for the activities associated with controlling costs of cloud services. Computer visibility goes beyond this issue if you do not have a discovery tool in place to provide this type of information. You must know what machines are in your environment. At the very least, you must have an understanding of the machines and business services, which we will discuss later, that you have potentially in a move to the cloud. A Discovery tool can provide this in real-time, but careful documentation and reporting can as well, it’s just stale immediately. See, you’ve made it over the first hurdle and it didn’t even take that long, did it?! Organizations may believe it’s difficult or even impossible to determine on-premise costs, but it is imperative that organizations understand these costs before undertaking any cost focused initiative to move to the cloud. Visibility into these costs can be obtained in multiple ways. There are national averages available from most any cloud services vendor. Which are just as valid as the cloud costs available from the on-premise infrastructure vendors! The bottom line is that various online tools are available to help calculate the hard cost associated with CPU, memory, and storage. These aren’t specific to your organization though. You remember bringing in Jim down in IT support and how much he cost payroll to bring in someone knowledgeable and helpful. How do you assign those types of cost as well, those that are specific to your organization? What all needs to be considered beyond just what we pay on average for a CPU? It’s important to realize that we are identifying costs for On-Premise, so we can compare it to Cloud Services costs. These On-Premise categories are defined by what determines cost in Cloud Services. We will address each of these categories individually below. Assigning cost at this point is easy. Each computer is some size of a “2X4.” Simply identify that size and record the costs for each of the 4 items. These items should then be averaged across the organization to determine each specific cost for comparison purposes. Virtualization Platform is the next layer of the “onion.” The type of virtualization done if any must be identified and the appropriate cost assigned to the Type. This information may be easier to find, and the calculation is much simpler than the ones required for Resource Allocation. In addition to identifying the cost of Virtualization Platforms, it is imperative to know which platforms your organization uses, and which are available in Cloud Services when making this comparison. The final layer of the onion is Operating System. The operating system has a major direct impact on the cost of Cloud Services. Your organization will need to identify and record the OS for each computer then assign the cost to this attribute. Again, this is simply an average much like we did above in Virtualization. It’s imperative to know which OSes your organization uses, and which are available in Cloud Services when making this comparison. Other Costs are associated with this process but are really “outside the onion” as it were. These are costs such as staff to implement, maintain and support systems in your environment. That information can be found in your organization’s accounting or finance departments. Facility costs must be determined as well. Most large organizations have a Facilities business unit who can assist with this cost determination. Otherwise, Accounting/Finance should know the average cost per square foot for your organization. Next, IT should be able to relate how many square feet are utilized by any data center/server rooms that it manages. Finally, there is maintenance – what is needed to manage the system based on the organizations’ requirements. This may lead to indirect costs that cannot be associated directly with one of the other cost categories. Here we are NOT talking about sweeping the floors and keeping the lights on, those are Facility costs. Here we are talking about things such as monitoring or capacity solutions which are needed to maintain good functioning capabilities in these areas. While the cost of those items may be difficult to determine for your environment, it is still important as any type of maintenance system that you must maintain may no longer be needed when you migrate to the cloud. For any maintenance solution that is needed regardless, you can omit those items from this calculation unless there is a cost associated with migrating. Whew! Two hurdles down and one to go, you are doing great! The third, and final (yea, right) hurdle are gathering the costs of each cloud provider. Typically, these are published on their respective websites and within online calculators that help you determine costs. Here we are talking about the big 3 Cloud Service providers (Amazon AWS, Microsoft Azure, and Google Cloud). There are other cloud service providers, but their pricing models may not be as readily available on either their site or within online calculators. The calculators will be very important in aligning what you have with what you need. Each provider will have a different pricing matrix and understanding any requirements based on the first two hurdles can help narrow the field when you reach this hurdle. Understanding how your “2X4’s” match up to the system sizes of each provider will be imperative but the normalization model should make that easy to identify. Your organization could have some cloud service location requirements as well. It will be important to understand what data center locations are available with each cloud service and which matter to you. It is possible that some locations are more expensive (usually due to specific infrastructure underlying the IaaS solution provided) so be sure to keep an eye open for that. You must also understand any special requirements for your environment(s) that not all Cloud Service providers offer. Redundancy, High Availability, 24/7 access, etc. all should be added to the equation when they are a part of your on-premise environment(s) or requirements. The necessary internal data has been assembled to identify what it costs you currently. The necessary external data has been assembled to identify what it would cost to move to the cloud in specific situations. Now comes the task of aligning these two datasets. The various costs must be compared so that your organization can determine if it makes sense to stay on-premise or if moving to the cloud, which one and at what term. This can easily become a comparison matrix because your organization may need a particular perspective of the comparison. What are you moving? Are you moving machines or business services in total? This is a very valid question in the process and directly affects how you compare the data. Do you need a server by server comparison or would it make more sense to compare (and therefore, eventually move) based on business service? Your organization will have to determine the best method for its goals. It is possible that both methods may be needed to determine if any business services can be “piecemeal” moved server by server to the cloud. If you have business services that, for security, redundancy and uptime requirements you wish to have some on-premise and some in the cloud, you will have to compare these server by server. If a portion of a business service is migrated to the cloud, once migrated your organization will want a view of the service that exposes all costs. Up to this point we’ve talked about a scenario where you are not in the cloud yet but looking at a potential partial move to the cloud. Organizations that are already in the cloud need to perform all the same steps above periodically to ensure they are getting the most value for their spend but ongoing cloud management requires a third comparison matrix. You must be able to look at what is in a particular cloud provider and determine if you are getting the best cost for the value you require by comparing it to other cloud providers and moving back on-premise. This can be a complicated task. It can be accomplished via spreadsheets or databases if needed but often requires off-the-shelf solutions to do the heavy lifting. This leads us to the question of where should you perform this work? Organizations have typically done this in spreadsheets or home-grown database solutions. Each of these are fine but are basically storage solutions for your data for the problem. They really provide no logic or understanding of your goal. Automated solutions, like BMC’s Cloud Cost Control, allow your organization to immediately understand these costs by simply integrating with your CMDB as well as your cloud service providers. It provides national standard business costs for on-premise categories that in many cases are very close to an organization’s own calculations. Rather than spend the time gathering and compiling the comparison data, the system will do it for you. It also provides a single click answer to your organization’s status on its cloud initiative. This is not to say that a manual method will not work. The issue with a manual solution for comparing costs is that the information is immediately stale once compiled. An automated solution has the most up to date information and can provide answers at the touch of a button rather than gathering data and performing complicated spreadsheet calculations. 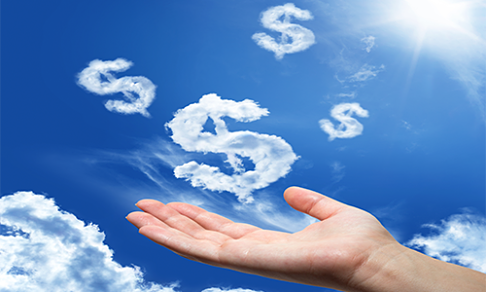 Is it possible to compare on-premise costs to cloud providers? I think that is a resounding yes. You can take a deep breath now that it wasn’t as bad as you thought was it going to be, was it?! Gathering these data is actually easier than many organizations realize, the issue is in the comparison. You have options though, it is possible to do it manually just know that the results can get stale very quickly and the effort can be labor intensive. Automated options are available, but they have cost. Your organization must decide which is the best route. Our initial question though was “can you manage what you don’t measure?” Not in cloud services. Bobby has over 20 years’ experience with multiple enterprise ITSM, ITFM and ITAM solutions. ITIL v3 and Scrum Master I certified, he has worked with a range of organizations from large multinational financial institutions to some of the largest Federal and State Government organizations. Today he lives just south of Nashville, TN. Pretty element of content. I simply stumbled upon your blog and in accession capital to say that I acquire actually loved account your weblog posts.